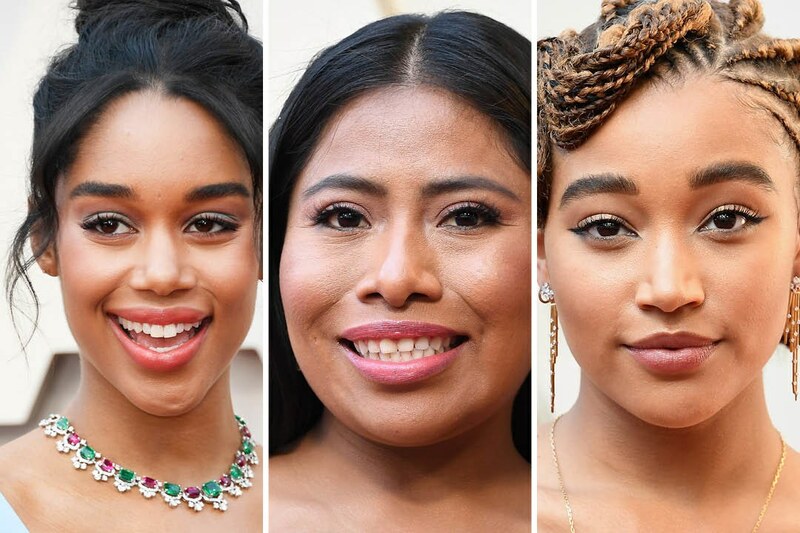 From Lisa Bonet to Elsie Fisher, these were the standout beauty moments from the evening. Usually, the Oscars are a time for stars to play it safe when it comes to their fashion choices — and even more so with their hair and makeup. We often see a lot of simple chignons, sleek Old Hollywood waves and classic red lips. And don't get us wrong, those looks are all just fine, but it's the more unexpected beauty moments that make for a memorable red carpet. 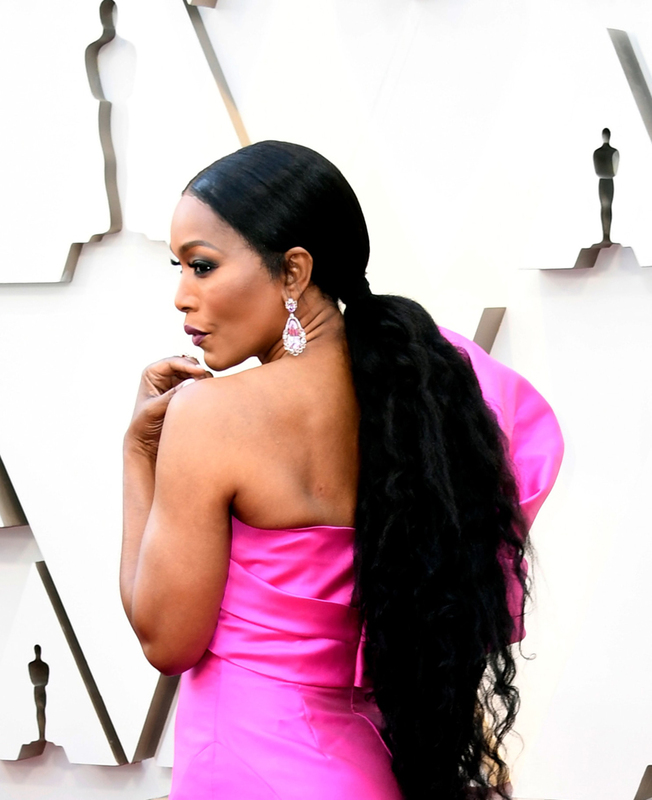 So we were pleasantly surprised to see a handful of refreshingly different (yet still flat-out pretty) hairstyles and makeup choices on the 2019 Academy Awards red carpet. 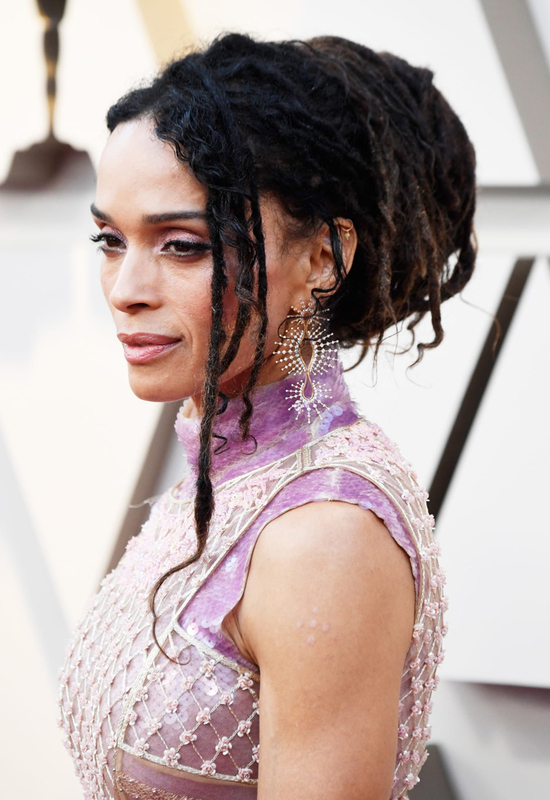 It was a big night for braids: Lisa Bonet wore her hair in dreadlocks, pulled up into a casually cool updo (serious question: have you ever seen her look anything other than casually cool?). Hairstylist (and braid master) Vernon François styled Amandla Stenberg's hair into knotted braids that he molded into the shape of a finger wave, bringing a modern feel to a classic red-carpet standby. Danai Gurira topped off her braids with a gold hair accessory — which, it's worth noting, was another beauty trend of the evening: Ashley Graham's hairstylist Justine Marjan adorned her bun with miniature black bows, while Elsie Fisher's minimalist look included a simple barrette that pulled her hair to one side. 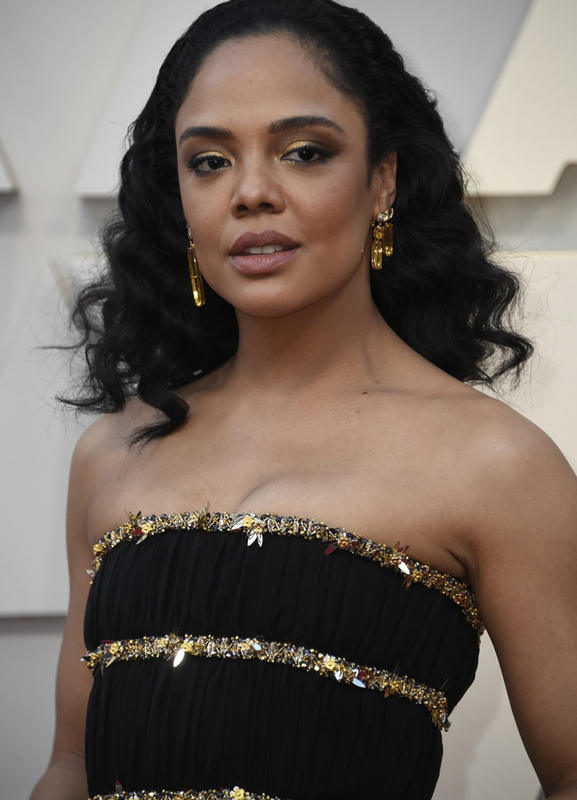 The dominant makeup trend of the evening was eye shadow that riffed on the color palette of stars' gowns, with Lucy Boynton wearing a wash of fuchsia shadow (a slightly paler take on the hue of her dress), Tessa Thompson sporting a black-and-gold smoky eye (to complement her metallic-accented LBD) and Laura Harrier mimicking the pale turquoise of her dress on her lids. 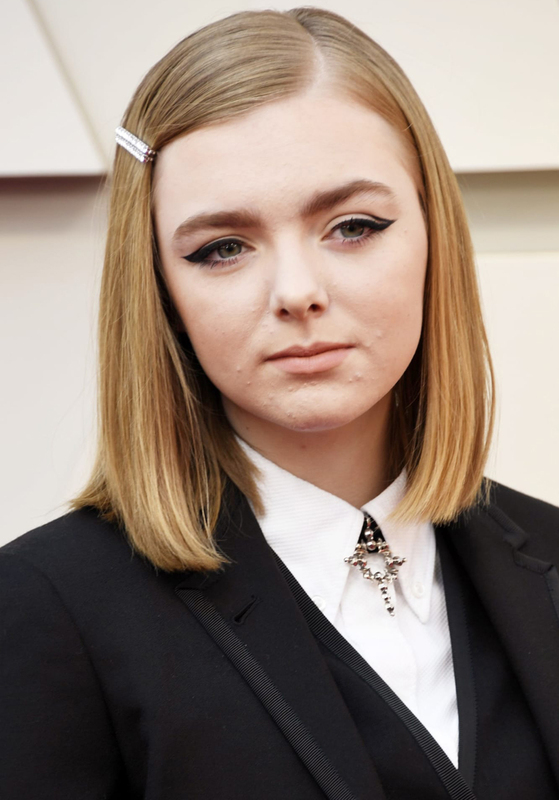 Click through the gallery below to see our favorite hair and makeup looks from the evening.